Tripp is a high school senior with a knack for building trucks who makes an incredible discovery - a gas-guzzling creature named Creech. 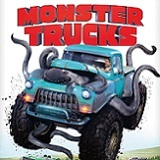 To protect his mischievous new friend, Tripp hides Creech under the hood of his latest creation, turning it into a real-life super-powered Monster Truck. Together, this unlikely duo with a shared taste for speed team up on a wild and unforgettable journey to reunite Creech with his family. 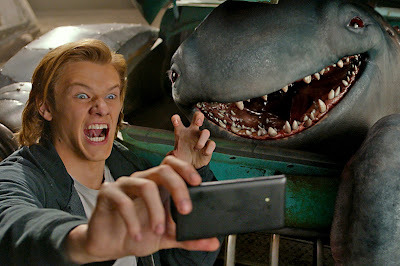 A fun-filled adventure that never slows down, Monster Trucks features a terrific ensemble cast including Lucas Till (X-Men: Apocalypse), Jane Levy (Don’t Breathe), Thomas Lennon (“The Odd Couple”), Danny Glover (Lethal Weapon), Amy Ryan (Central Intelligence) and Rob Lowe (“Parks and Recreation”) who share the screen with some friendly and talented monsters. Tripp (Lucas Till) is a high school senior. He is a very bright kid with solid mechanic skills. He is falling behind in at least one subject, Biology. Luckily, Meredith (Jane Levy) is more than willing to tutor Tripp, whom she has been trying to lock into a study schedule for weeks. Tripp has a rather large chip on his shoulder because he feels Terravex Industries ruined his town, which contributed to his father leaving. He lives with his mother and barely tolerates her boyfriend, Sheriff Rick (Barry Pepper). Terravex is drilling towards an oil pocket when they reach water. Water means a possible ecosystem. Terravex exec Reece Tennenson (Rob Lowe) makes the call to push through. Soon the situation is out of control and water oil and some kind of creatures shoot far into the air. Tripp works at a scrap yard for a man named Mr. Weathers (Danny Glover). That night at works, he is enjoying crushing cars when he finds an oil eating creature. He quickly bonds with the creature, affectionately nicknamed Creep. When Terravex comes looking for Creep, Tripp isn’t about to give up his new friend. Creep ends up under the hood and his physiology allows him to power the vehicle. Tripp has a literal monster truck and good girl Meredith finds herself breaking rules and laws in order to save the monsters. Terravex will stop at nothing to cover up the existence of the monsters to get their drilling back on schedule. 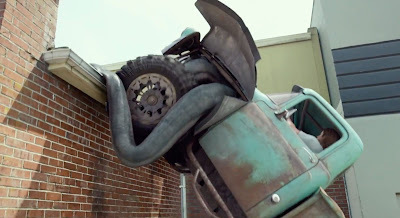 Monster Trucks is the first live action film from Director Chris Wedge. His background in animation makes him capable of directing the computer generated monsters along side the live actors. The monsters don’t talk but are very lovable and its easy to feel for these characters. The young actors in the film don’t have a long filmography but are very capable in their roles and hold their own next to seasoned actors liked Danny Glover and Rob Lowe. Monster Trucks is a sweet, fun, caring film that is enjoyable for all ages. My elementary school aged son enjoyed it as much as his grandmother and I did when we saw the film in the theaters. However, its not an action film. This isn’t Transformers and viewers looking for something similar will be disappointed. Monster Trucks is a simpler, more basic film. Monster Trucks’ Blu-ray is colorful and bold in 1080p on Blu-ray The film is also available in Ultra High Definition, but I did not have that available to compare. The creatures glow with a beautiful luminescence in water. The live actors have accurate and even skin tones. 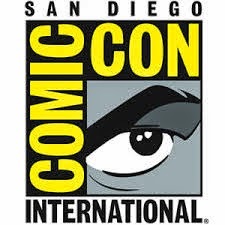 The digital and live characters interact without issue and the image is above average at most moments. There is a hint of digital noise, but nothing to distract from the film. The Dolby Atmos soundtrack on the Blu-ray is able to support all the action Monster Trucks provides. Dialogue is even and intelligible throughout the film. Overhead channels are well utilized. There are some moments when the low end is a bit underwhelming and you don’t hear the true weight of some objects. In addition to the extras below, the Blu-ray included two wall decals. Who’s Driving the Monster Trucks? (7:07) – A basic featurette with cast and crew interviews and discussion of why everyone signed on to this project. Touches on the integration of CG and live action and gives everyone a chance to voice respect for the first time (live action) director. The Monster in the Truck (4:58) – The Animation Supervisor and other related professionals explain the challenges of creating the monsters. Specific sequences are explored. Creating the Monster Truck (6:30) – The filmmakers discuss how the creature would inhabit the truck and the extraordinary things they could do together. Includes a look at stunt work and vehicle attributes. Gag Reel (4:36) – On set laughs, line flubs, hair problems and silliness that comes with imaginary monster co-stars. I saw one list predicting that Monster Trucks would be one of the year’s worst films. With that information, I went into the film with very low expectations and was pleasantly surprised. This is a sweet film, perfect for the elementary school aged crowd but still enjoyable for all. It is certainly predictable and formulaic, as most films are. It isn’t the type of film that children will beg for but the family shouldn’t mind revisiting it from time to time. Having seen it twice now, I enjoyed Monster Trucks and its light-hearted action. 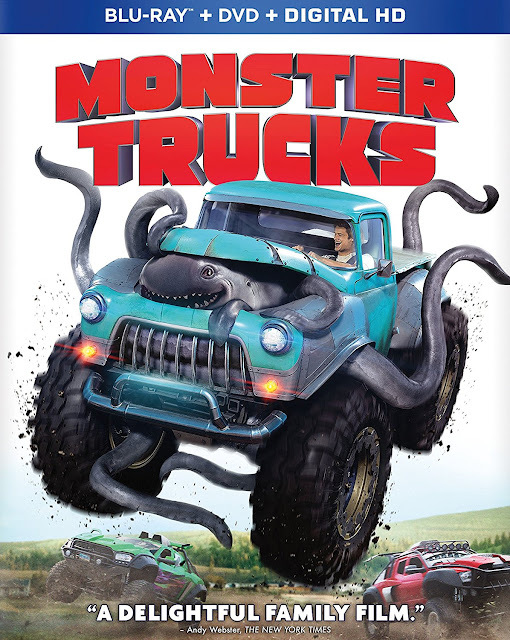 Just make sure those in your house realize there are going to watch cute monster inhabit big trucks, and not typical monster trucks racing in a dirt floored arena.